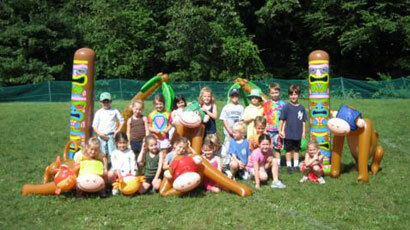 Mad Science uses interactive activities to teach kids entering grades K-5 both practical and amazing science lessons. The dynamic "Mad Scientists" lead age-appropriate activities that are so fun and engaging that campers almost don't realize they are gaining a clear understanding of science and how it affects the world around them. Each week focuses on a different theme, allowing campers to fully explore and understand the scientific principles behind them. 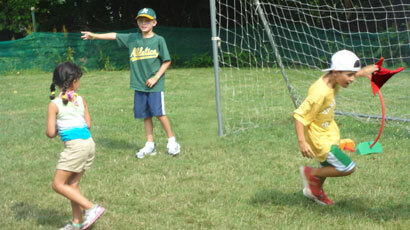 After lunch, Mad Science campers join the other camp groups for athletic activities that include tennis, swimming, and team-building exercises. These sports and games are intended to develop not only physical skills, but also interpersonal skills, as we emphasize sportsmanship and teamwork. For campers who don't want to participate in the afternoon portion of the program, we also offer a half-day option that includes just the Mad Science activities. Take a trip through some of the most unique areas of science. See how illusion and reality meet and test out the ideas that make our favorite toys and tricks work. Each day explores a different scientific theme. We'll explore the science behind magic, music, movement, and more! Suspects, schematics, and sleuths. Connect the dots using science to help solve a crime in this hands-on investigation of the science of sleuthing. Uncover the science involved in evidence gathering and analysis and fingerprinting detection. Enhance your recall and observation skills and learn how to use spy equipment. Take a journey to the farthest reaches of the imagination while learning about the ocean, Mars, a futuristic city, and more! Use the design thinking process to solve real-world problems. Experiment with many art techniques like sculpting, collage, and mixed media, while discovering different design careers. Take a scientific journey through circuitry and sensors. Explore several different types of robots, including robots that follow lines and sounds and robotic arms like the ones you see in the big factories on TV (albeit on a smaller scale). You will even play tag with robots that you control! Complete the week by building your own robot to take home. Come spark imaginative learning with a week of Mad chemistry. Watch as we combine elements and make them fizz, crackle, and change color. We'll delve into molecules and chemical reactions that produce light, gas, and even slime! Explore the natural world and its adaptations. Make casts of animal tracks and build a bird feeder to mix seed blends to attract specific bird species. Study the feeding habits of owls as we dissect their lunch's remains while learning all about the world around us. From our earth's atmosphere to the outer reaches of our solar system, join us on a quest for exploration! Comets, planets, stars, and more are waiting to be discovered. Learn about the four forces of flight and the challenges of space travel as you construct your own rockets and participate in a launch. This is a game of teamwork and endurance. The goal is for players to grab the flag from their opponent’s half of the field and return it to their own without being tagged. Disc golf is a fun way for campers to develop their Frisbee throwing technique. 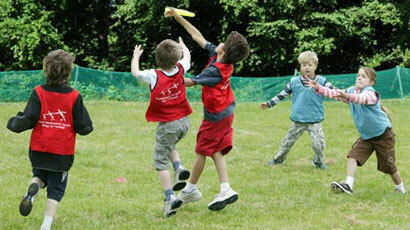 When they learn the basics, ultimate adds running and catching, creating a fast-paced game. 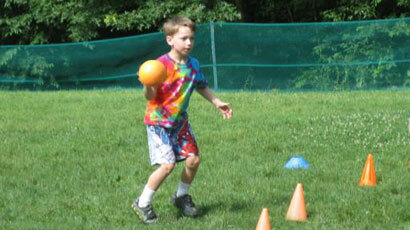 Using soft balls, campers enjoy this classic test of reflexes and quickness. We also have a court for the popular gaga variant that is played a little closer to the ground. It's not baseball. It's not soccer. 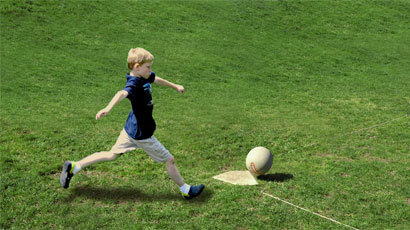 Kickball is the best of both sports, and it's a great game for kids of all ages and skills levels, as the large ball is easy to kick and catch. 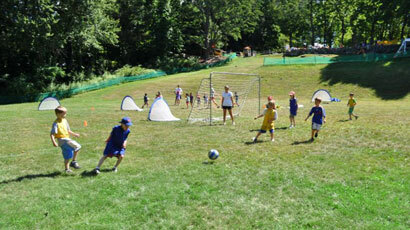 Campers focus on ball control, dribbling, passing, and finishing through skills games like sharks and minnows, marbles, and red light-green light, as well as scrimmages. Our program involves both instructional and recreational swimming. 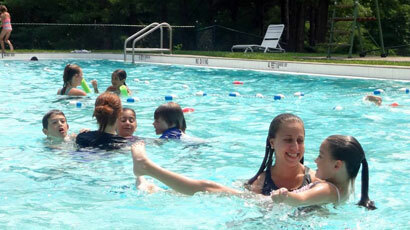 The goal is for campers to feel completely comfortable in the water so that they enjoy it. Team building is a great way for kids to develop lifelong skills like cooperation, communication, and trust, all while getting to know their fellow campers better. 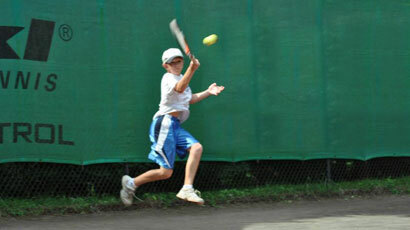 Armonk Tennis Club is the home of a top-notch year-round junior development program, and we bring all that experience to Camp Armonk with engaging drills and matches. 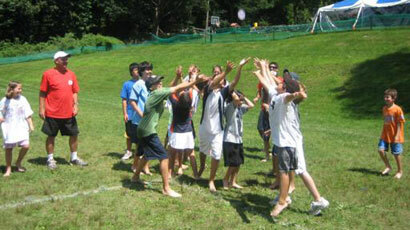 Theme days bring a special energy to camp and allow campers to share their interests and discover new ones. And don’t worry, parents, costumes aren’t required. Copyright © 2019 Armonk Tennis Associates, LLC. All Right Reserved.